Come join show your solidarity with our fellow Jews in Pittsburgh by coming together on November 9th to fill our Shabbat table to capacity and show our love and fierce determination in the face of adversity. We will start at 3:15pm sharp with a short address by Rabbi Ort and one of our Jewish students on campus. There will be hors d'oeuvres served and Jewish men are encouraged to put on tefillin and say Shema and Jewish women are encouraged to light Shabbat candles as a show of Jewish pride and as a memorial for the souls of those lost. 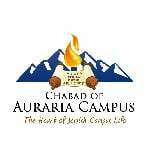 At 4:15pm, we will have Mincha and Kabbalat Shabbat services followed immediately at 5:15pm by a meal featuring singing, discussions and student speakers speaking about their feelings on the tragedy, showing strength in the face of adversity and why Jewish unity is important now more than ever. Reserve your spot using our online Student Social Shabbat RSVP!